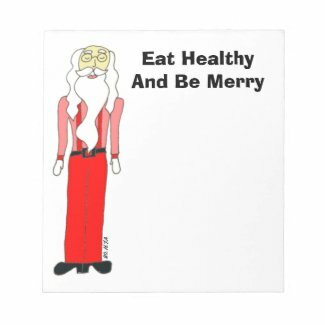 Today I am featuring my Lean Santa Christmas Greeting Card. 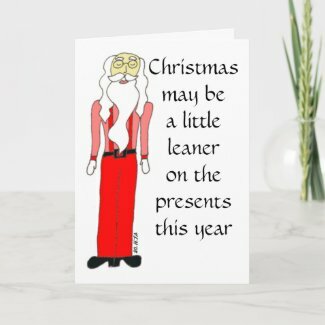 On the front is my drawing of a lean Santa along with the words, "Christmas may be a little leaner on the presents this year". 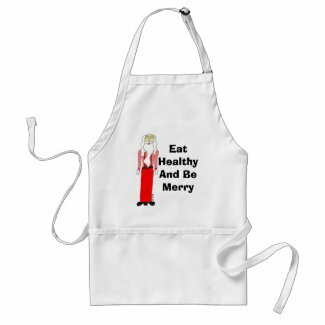 Inside, Santa is holding a heart where his "jolly" belly once was and it reads, "But it will still be fat on love." I have to admit that when I was child, Christmas was pretty much all about the loot. Or so I thought. The funny thing is that when I look back at the Holidays of my childhood, it is very rare that I even remember the gifts I was given. What I most remember is the laughter, all those funny stories that seem to create themselves whenever my family gathers together for anything. Another thing that stands out to me are the traditions, the things we did every Holiday that I always looked forward to. And of course I remember feeling special and loved, which was in part due to the presents, but not because of their monetary or material value but just the fact that someone cared enough about me to give me anything at all. 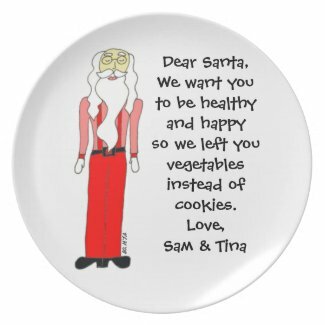 I hear a lot of talk about how the Holidays are going to be a tough time this year due to the economy. I even found myself talking that way recently. But what I realized while thinking about this card is that the Holidays are actually one thing that this economy can not diminish for me. There are things that cost money in this life like food, shelter and doctors visits. But laughter, tradition and even generosity often cost only attention, effort and creativity. No matter how small my gift giving budget is this year, I can afford to be lavish with those three things. I can afford a Christmas that is "fat on love."